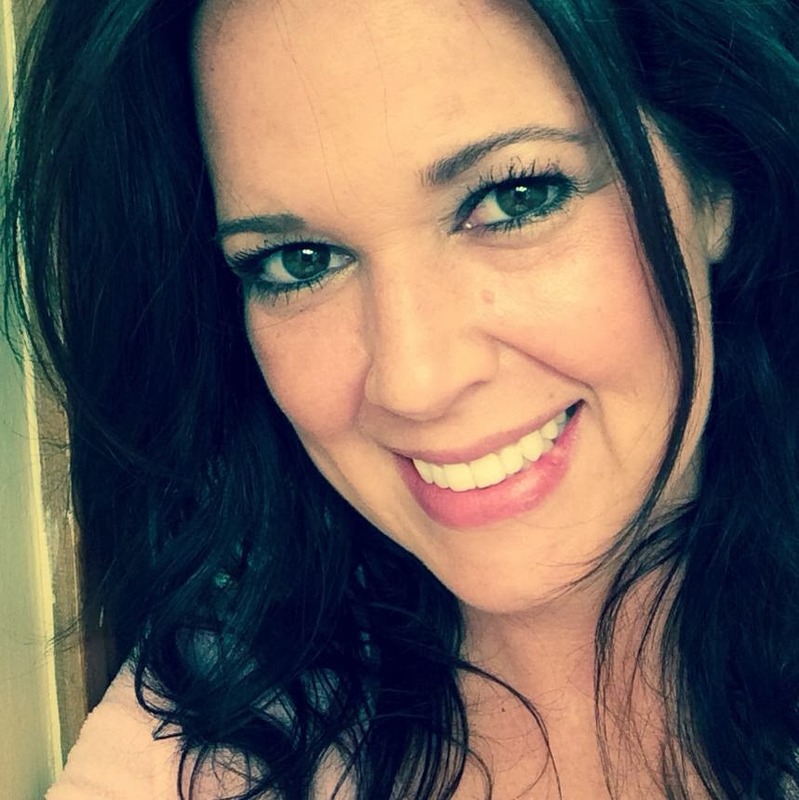 Nikki Sivils: Happy National Scrapbooking Day! Did you think we had forgotten? NO, we just wanted to keep you on your toes! We are celebrating here in Springfield at Scrapbook Generation with Nikki Sivils, Day. 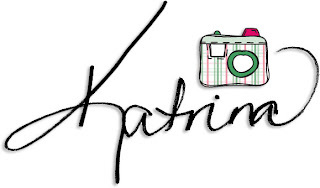 Nikki and I (Katrina) are doing some fun little mini classes and there is stuff going on ALL DAY in the store. If you are local be sure and stop by. Now...what about our online friends? Well, we haven't forgotten you either. Since we are "out and about" today, we were trying to come up with something that you guys could do to win an awesome prize pack of collection kits. Here's what I came up with. Leave a comment tell us which collection is your favorite out of ALL of Nikki's collections. This includes ANY collection she has ever made. Also in the comment tell us what YOU would like to see Nikki come out with. I am not saying that it will happen, but she would love some ideas of what her fans want! ONE Person will received ALL FOUR of the newest collection kits! Exit Here, Noah, Audrey and Messages! One Person will receive their choice of TWO of the collections kits shown above! And finally one person will receive their choice of ONE collection kit shown above! We are going to let comments run thru Monday, May 7th. Your comment MUST be received by 11:59 PM on that date to be eligible. We will announce the winner here on the blog and on Facebook later in the week. So you will need to check back to see if you have won. Get out there (or stay in!) and get to scrapping this weekend! Let's celebrate our love of creating a piece of art that is fun and tells a story! Soooo exciting! I wish I could be in MO with you girls!! My all time fave collection is "It's Raining It's Pouring"! It's so fun and whimsical! Have a great time today! I wish I could be there to celebrate NSD!! Exit Here is adorable! I love travel themed scrapbooking supplies as well as holidays. Thank you for the chance to win! Wow, so generous! Great giveaway! Happy NSD!! My favourite all time collection is It's Raining, It's Pouring. Love all the new collections too! I love all your lines Nikki, but my favorite is 'we're family'. I like to see an 4th of july-line, we don't celebrate it over here, but i like the colors red, White and blue and your flag! I love a beach and sea line also! my favourite is Audrey..such a fun and lovely paper. Hoping to see some cute retro baby patterned paper. Wow!! What a great giveaway!! 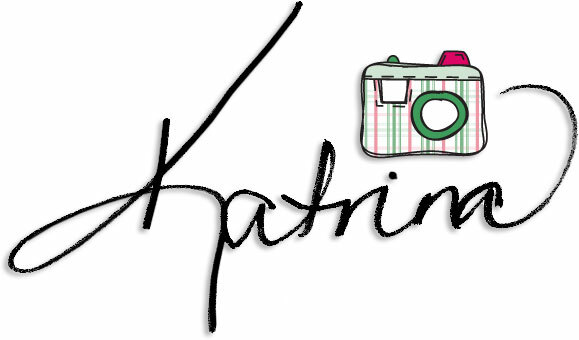 I love when you make executive decisions Katrina!! =) Nikki's stuff is so fabulous but I think my favorite of all her stuff is 'Will He Be The 1'. I hope you girls have a good time at Scrap Gen!! Happy NSD!!!! hope you have a wonderful day!!!! I love the You're A Hoot line and actually the Cherry line, her first ever has been an ALL time fave!!!! hope you have a good one!! What a fantastic giveaway!! My all time favorite line of Nikki's is "We are Family." I've used every scrap... TWICE! Thanks so much for the oppoirtunity! For new and upcoming lines- I would love to see more BOY stuff. Stripes, dots & Plaids in shades of blue, green, gray and brown. Thanks for asking!! Why an amazing giveaway! I Love Messages! Well I just fell in love with Messages so that is officially now my favorite! LOL! What an AWESOME collection! Love the recent Noah and also loved to bits the Flaming Butterfly minni pad. Never foudn anything lese - guess it must have been a whole collection but boy I loved it! LOVE LOVE LOVE the Noah kit - - there are so few great kits for boys and this one is awesome! I would love to see a new travel themed line. Thanks for the chance to win! Ooh...how Fun!!!! Love all the collections, especially the Messages line! One of my favprites is the Noah Line. I just love the colors! Oh Nikki, I love all your collections, but my most favourite one is Audrey! I really love the Audrey collection. So bright and cheery. Love reds and blues together. I always loved Tree Love because it was perfect to use for layouts of my nephews! It was fun, full of nature & adorable! How could one honestly pick one over another?! You gals are all so talented. Since I just had my first child this past Christmas Day, a bouncing baby boy named Liam, I have to say Noah is my favorite collection - it's perfect for scrapping all those baby boy photos! I love Audrey! It is already on my shopping list but I really hope to win it. Thank you for the chance. Happy National Scrapbooking day! I love all of Nikki's products and tend to hoard them cause sometimes I like them too much to cut them! (Isn't that sad?) Often my favorite is whichever one was used in the project I'm looking at. My favorite of all time is Blueberry Hill. Those crisp designs and colors appeal to the country girl in me I guess. I buy it every time I find a piece somewhere! I am going with Exit Here - though it was a tough choice. Happy NSD!!!! My current fave is Audrey! My favorite was the Get Well Soon collection. I made so many get well cards out that collection. Now if I had to choose a collection that was a favorite by just its name that would be Exit Here. I just love that title. I would love to see another get well collection or something along that line...feel better, thinking of you, etc. And I am always looking for paper for dogs. My all time Nikki Sivils favorite collection is "We are family" and I would love to see Zoo and/or dogs and cats in the future. I seriously can't chose. I love them all. Thanks for the contest! I love the Noah collection. Would love to see a pets collection in the future. Thanks for the chance to win! I love the Noah collection - perfect for scrapbooking my 2 boys! I would love to see a new travel collection. Thanks for the chance to win! Noah's my fav because I have two boys. But something a little older for teen boys/college boys would be fun too. It was a hard choice, but I would have to choose School is Cool!! Thanks for the chance to win! I love the Gingerbread collection for Christmas. I would like to see a collection for pets or cooking. Thanks for the amazing chance to win! How could I not love the Noah collection! My son goes by the same name! 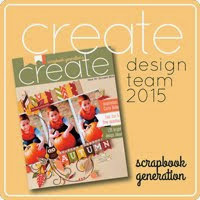 My favorite collection by far, is Noah - the colors are fabulous and with 2 little boys, its perfect for my scrapbooks!! I would love to see other boy collections, maybe with farm/animal themes and any kind of stripes are always welcome!! Thanks for the chance to win!! Dan the record man is my favorite! My hubby's name is Dan and I loved using the line for his pics! I just adore Audrey. As for what else I would like to see- I have no idea. PICK ONE!!??? How is that even possible!!? Oh my! OK, I've rustled through my full Iris box of Nikki Sivils Scrapbooker paper and drew my conclusion based on the number of snivels of scraps I have left, indicating which I've used most. I think it would have to be the (DRUMROLL PLEASE) "Get Well" collection!! I don't think there's anything much like it elsewhere on the market ... it's fun and I've been able to pair it up with my own embellishments such as the Pure Innocence nurse stamp and even the Li'l Monster line of papers for more germs. EVERYBODY gets sick and can use a fun cheering up card, so I make duplicates every time I'm making one, for the stash. As to what I'd next like, I'd say BEACH themed paper. Surfboards, sand castles, messages in a bottle, seashells, crabs, starry-nights, sand grain, umbrellas, dolphins, sunshine, beach chair ticking, etc. ...and I'd like another Christmas collection too! I love anything Christmas! Thanks for the chance to win this great collection!! Oh, it's hard to pick a very favorite line ever. So, I will go with my recent fave: Noah. That one is so adorable and just perfect for my little one. Love them all, who could bear to pick just one! Well I have to say. I've never had the pleasure of enjoying any of Nikki collection only by eye. I cant find a store here in Bremerton, WA. But if I did I would pick them all of them. But the first one would be You're a Hoot. The owls are so cute. I would like an all girls or summer. Ohhh!! Another great gift! So generous of you! What great collections!! Thanks so much for the chance to win! And happy scrapping! LOVE anything Nicki!!! One of my faves is Messages!!! How about lines for older boys and girls - teens to adults! Tough to chose just one line, but love the Christmas lines. Thanks for the chance to win. Thanks for the giveaway ! I love all the collections! My favorite collection is You're a Hoot. And I'd love to see Nikki come out with coordinated (chipboard?) alphas with future kits. I still really love the "It's Raining, It's Pouring" papers. Soooo cute!!! Love that turtle! I enjoy all Nikki's papers but would love to see some sports themes for kids. Keep 'em coming. Hope you had a great NSD!!!! Thanks for the chance to win!!! I'm really liking the Messages collection! I would like more non theme things. I just bought a few pieces of Exit Here - so I do like that collection. I really loved the school line. I dont remember the name of it but it was really cute. I also loved the cherry line I think its pretty old. I would love a lake line (not beachy) and I always adore the Christmas lines too. Thanks for the chance to win. My favorite is Audrey becuase that little deer is just so adorable! I would love to see a line that could be used for older girls- elementary school- like lots of pinks and girl game ideas. Thanks for creating such great lines of paper to work with! Lisa N.
It's too hard to just pick one! I really like all of your collections and I think I would like to see a beach and camping theme. Oh - this is so hard to pick! I think my favourite is My Lil' Monster - I had so much fun creating with that collection. And since it is tricky to find Nicki's lines here in Calgary, I could sure use this giveaway!!! Thanks for the chance to win and happy scrappy weekend to everyone! Well long request but just some ideas. So many awesome lines to choose from! I really, really love Noah!!! How about a school line? I can always use more, fresh school related products. I love "we are family" collection, and wish to see some traveling or outdoor collections! Thanks for the chance! My favorite is the Blueberry one from two years back. I would like to see more travel or cultural icons, like what life was like in the early 2000s with Iphones, Ipads, etc. Can't even decide among the new ones - Exit Here or Audrey - keep changing my mind. So many of the older ones are great, too - I'm really bad at remembering the names. I've love non-traditional color combos. The new brights - turquoise, orange, khaki. Ok, that Noah line is really cute, especially as that's the name of my friend's grandson! I hope I can enter here even after having the privilege of being at Scrapbook Generation on Saturday. You gals rock! I love the Noah kit!! I see so many possibilities for this summer's pictures of my son. Definitely see an "A boy's Pockets" page!! Thank you for your generosity, Nikki. I LOVE the new Noah line -- oh my!! Can't wait to use the little pockets paper. Fabulous! The BLUEBERRY line from the past is also a favorite. Great to meet you Saturday at SG and to do some pages with the new Messages line. FUN!! I really like the Exit Here collection! It would be nice to see a sports theme or a red/white and blue collection! Whatever collections you decide to do next, they will be wonderful! I am brand new to your products. (Where have I been???) The blog hop with Sketch Support was a real "find" for me and I am enjoying your blog now, too! It's hard to pick a favorite but I am drawn to the colors of Messages. They are all great! I love Messages and the color it is, just work with all. I would love to see another pet line. Love them but Audrey is my favorite! Hope you have a wonderful Monday! I haven't seen one of Nikki's lines that I haven't loved! If I really had to choose, some of my favorites would be the Cherry Line, It's Raining It's Pouring and the School one. I would love to see a Circus and/or carnival themed line. Thanks for the chance to win! All lines are lovely, but I need a girly ones- more pinks, butterflies, flowers, soft pastel. Same great patterns and stickers, but more girly- for small and big girls all togehter. OHHH! What a fabulous giveaway! I would love to see some non-traditional colors for Thanksgiving/Christmas/holidays (like hot pink or pastels). My favorite are a tie between It's Raining, It's Pouring and Give a Hoot! I really would like to see another pet line.